Bracelet (7-1/2") Medium/Large Chips - 1pc. Multi-Colored Tourmaline Tumbled Chips Single Strand Bracelet - These multi-colored Tourmaline Chips from India are gathered onto a stretch elastic cord to form a single strand bracelet. 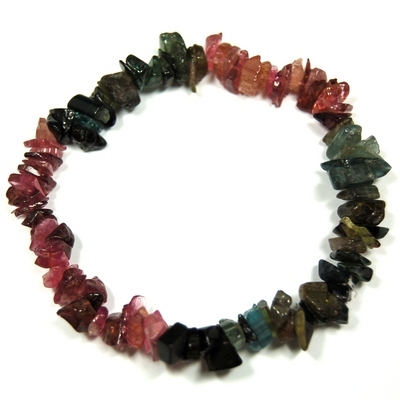 The Tourmaline chips have a very high vibration and these bracelets are wonderful to wear. 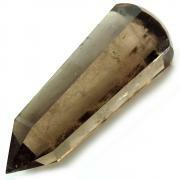 Tourmaline has long been associated with attracting wealth into one's life. 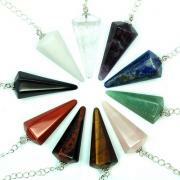 Tourmaline Crystals work with and connect all the Chakras, and align the subtle bodies which, when used with this intention, can help bring order and flow into one's life. 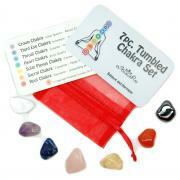 Tourmaline Crystals are great for healing work and for creative projects. Having such a variety of types of Tourmaline can help one persevere to bring a project through to fruition from beginning to end. 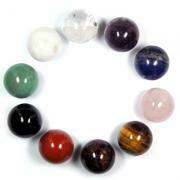 Wear these sweet Tourmaline bracelets to help encourage a flow of gratitude and universal love in your life. Affirmation: I easily maintain a high vibration. 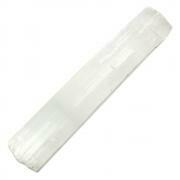 Question: Do you sometimes physically feel a crystal's vibration?